The new Fantastic Four movie recently came out. It was a total and utter disaster, with a Rotten Tomatoes score that can only be seen with a microscope and a box office performance so pitiful it couldn’t even win it’s week. It’s hardly surprising, really, as A) it was not made by Marvel itself, but rather FOX, which only has the rights to make these movies due to a deal it made way back in the early 1990s when Marvel was in the direst of financial straits, and B) it was trying to turn what is arguably the most optimistic and adventuresome of comic books into a dark and moody techno-thriller. I mean, seriously? SERIOUSLY?!?!? With luck, this failure will lead to the Fantastic Four and their stable of villains (most notably DOCTOR DOOM) back to the Marvel line, so we can see a real and proper movie featuring the FF, with Doctor Doom done right, and maybe with a Hulk-Thing fight thrown in, too, because after how badly this and the previous movies have hurt the reputation of “Marvel’s First Family”, they’re going to have to go all out to win back the crowd. 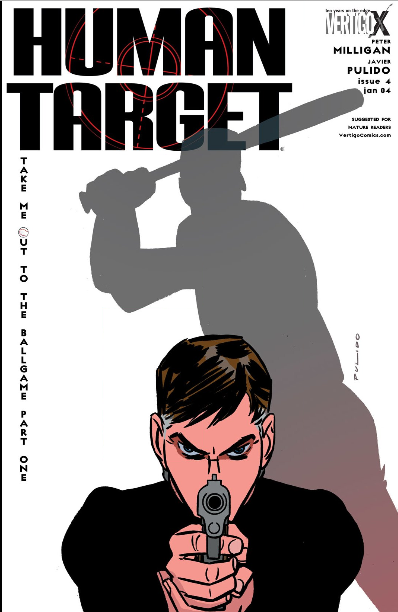 This Marvel/AAA Baseball crossover is great in that it shows off how the Fantastic Four are basically an ordinary family who happen to go exploring alternate dimensions and fight space-gods in their spare time. I mean, look, they all are at a ballgame together! From what I understand, the latest movie has none of this stuff. And it flopped big time. Coincidence? I think not. 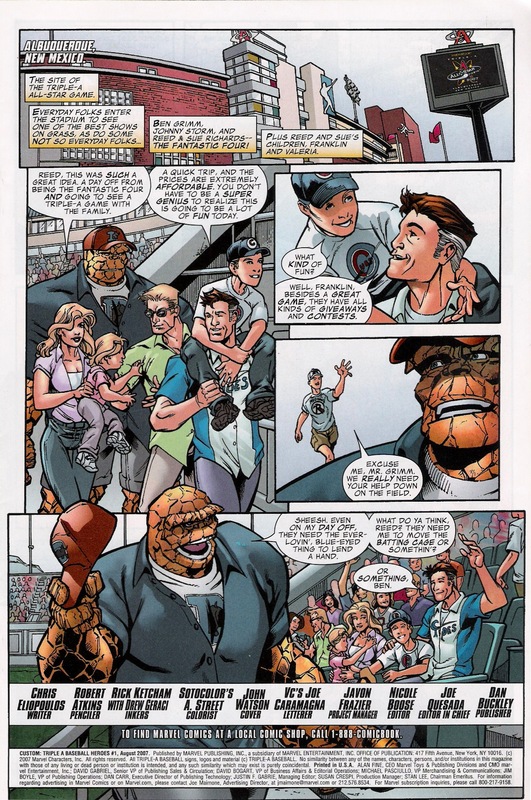 This installment of the Marvel/AAA Baseball didn’t have as much Fantastic Four fun, really only featuring Reed Richards and the Mole-Man (who served as the villain). However, unlike the new movie, it showed the Fantastic Four as part of a large and vibrant universe and as close allies and friends with characters like Iron Man and Spider-Man. Which, if you ask me, instantly makes it better than whatever piece of crap 20th Century Fox just put out. 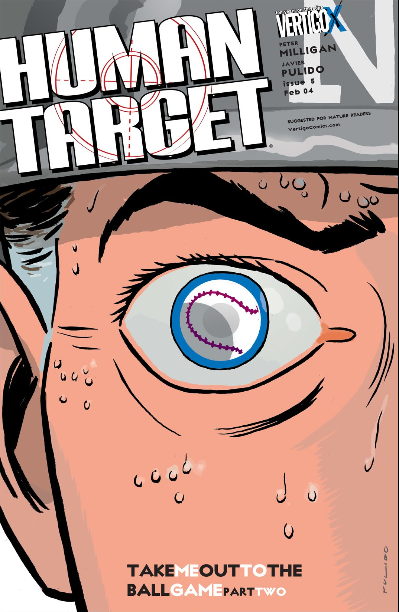 A good, innocent, all-ages comedy comic about Franklin Richards, the eldest son of Reed and Sue Richards, as he tries to cheat in little league by using a Flubber-like explosive substance on his bat to hit some home runs. That’s something that somebody actually wrote. Go look on Rotten Tomatoes. The FF has also made brief appearances in my run-down of Marvel Universe appearances by Yankee Stadium, and in the Bullseye miniseries. 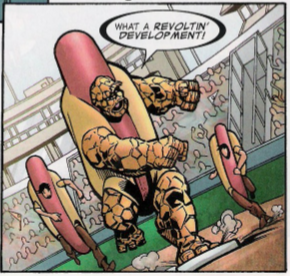 I won’t go in depth on those, as we are forgetting about the unofficial fifth member of the Fantastic Four, their arch-nemesis, the greatest villain in Marvel comics…. BILLY THE MARLIN and SPIDER-MAN! I mean, jeez, that’s one of the most iconic things in comic books. It was the partial inspiration for Darth freaking Vader. But, NOOOOOOOO, you have to go make Doom like like a human vacuum cleaner that just got put in the oven for too long. 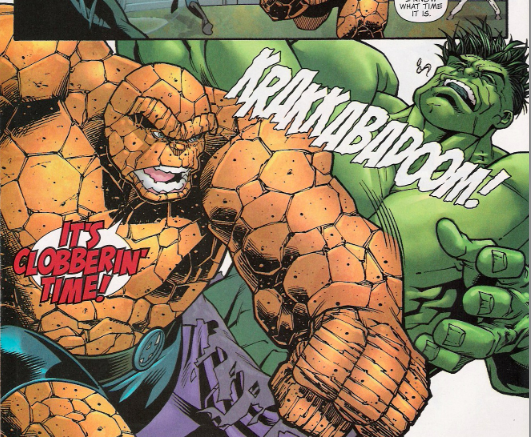 …Seriously, FOX, give back the rights to Marvel. They’re Disney. They have the money. They have the X-Men television rights you want. For the good of all that is holy. PLEASE! 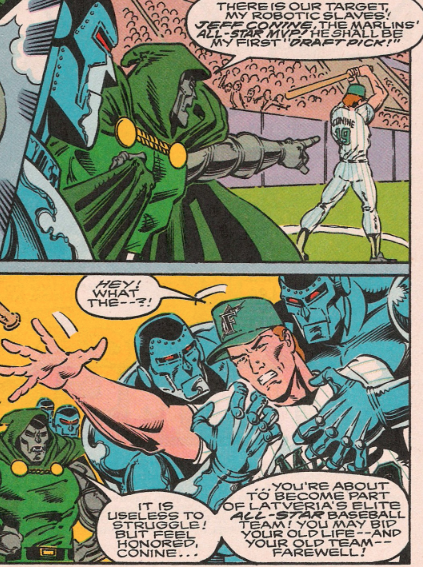 Anyway, Doctor Doom made one of the most notable appearances in Bizarre Baseball Culture when he went and tried to kidnap Jeff Conine to force him to play for the Latverian national baseball team, only to be foiled by Billy the Marlin and Spider-Man. Truly, words cannot describe the greatness of this story. 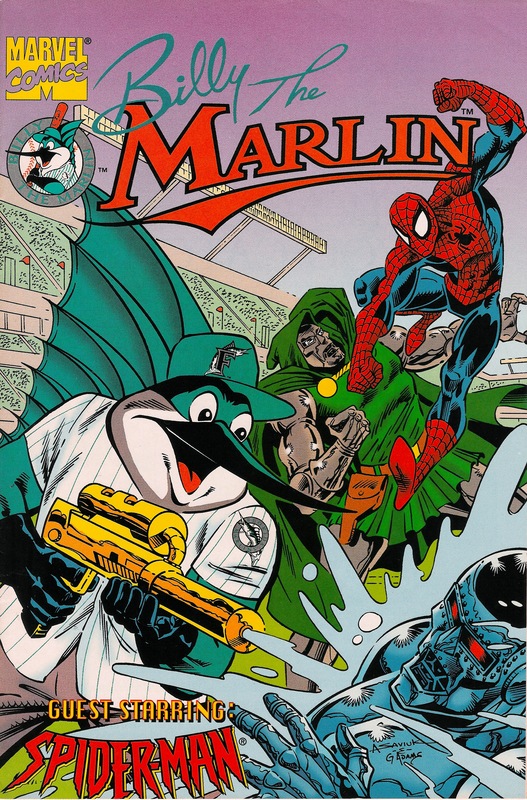 If Marvel ever gets the rights to Doctor Doom back, the very first thing they should do is make a deal with a Marlins and put into production a adaptation of this, albeit with Giancarlo Stanton taking the Jeff Conine spot. 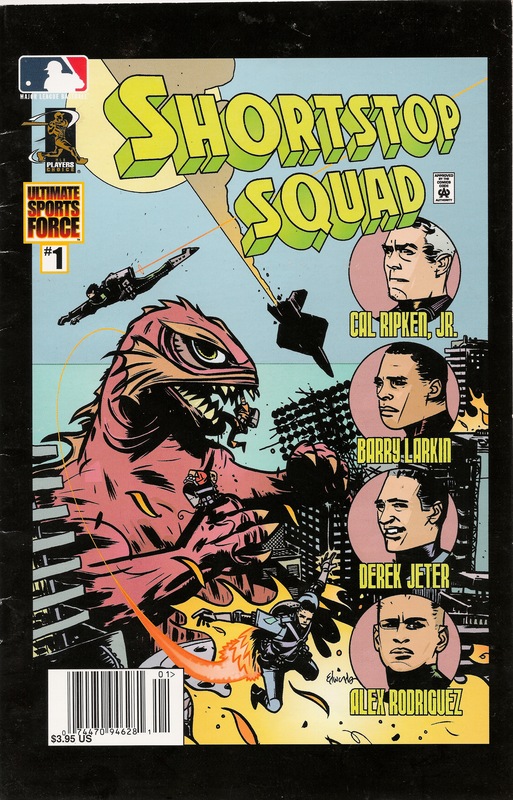 Seriously, this is probably better than that new movie, and the Fantastic Four aren’t even in it! 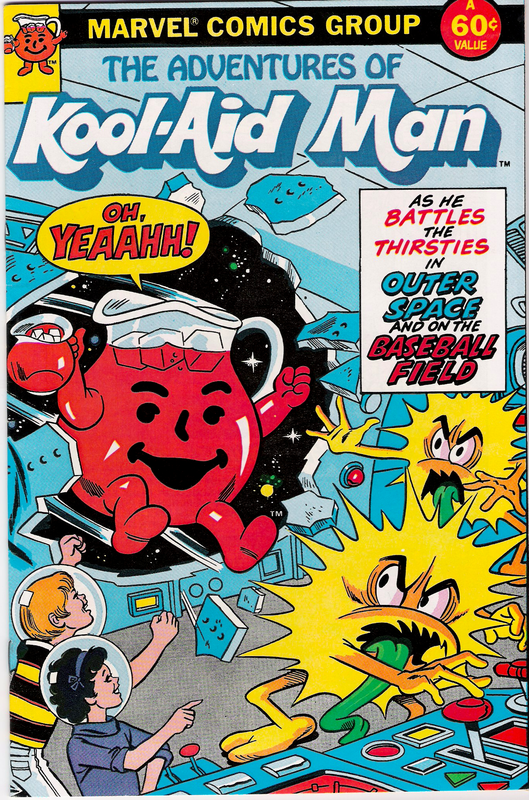 …So, anyway, that concludes a look back at Fantastic Four appearances in Bizarre Baseball Culture. Keep an eye open in the next few days for the next installment, featuring Popeye the Sailor Man, a known user of performance-enhancing substances (i.e. spinach).